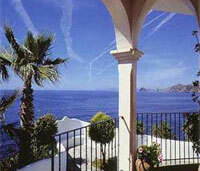 Spain is Britain's most popular venue for residential tourism. Over 8 million people visit the Costa del Sol every year. 330 days of sunshine, many world class golf courses, marinas, shopping centres and international schools have made Property in Spain incredibly desirable. The cost of living in Spain is almost 30% less than in the UK. With Palmera Properties' low deposits you can own a home in the sun for less than you expect. Palmera Properties have 5 offices in Spain and many year's worth of local knowledge, we would be glad to assist you on any matter relating to this wonderful European destination. To find out all you need to know about retiring to Spain read through our exhaustive website.